In 2017, four environmental activists were murdered every week on average—most of them in Latin America, and most of them targeted for protesting industries like logging or mining. These shocking numbers may finally start to taper off, if three new initiatives launched just this month are successful at protecting people’s right to a clean environment—and its defenders. The 197 killings of environmental activists reported by Global Witness in 2017 was on par with 2016’s 200 documented killings and 2015’s 185 deaths. As of early March, nine environmental defenders have been killed this year, including Purépecha activist Guadalupe Campanur Tapia, who was one of the leaders of an indigenous movement against illegal logging in Cheran, Mexico. Over the last three years, three countries—Brazil, Colombia, and the Philippines—represent more than half of the murders recorded by Global Witness. Overall, Latin American countries dominate the list, with Honduras having the most killings per capita. Defenders have been killed in other sub-tropical countries ranging from Kenya to Cambodia, where deaths are often linked to an extractive or resource-intensive industry, such as deforestation, mining, and agriculture. But Global Witness only counted two murders in Europe and the United States, and none at all in Canada and Australia, in the last three years. Women defending environmental human rights may face additional risks, including the threat of sexual violence, loss of credibility, and loss of livelihoods. 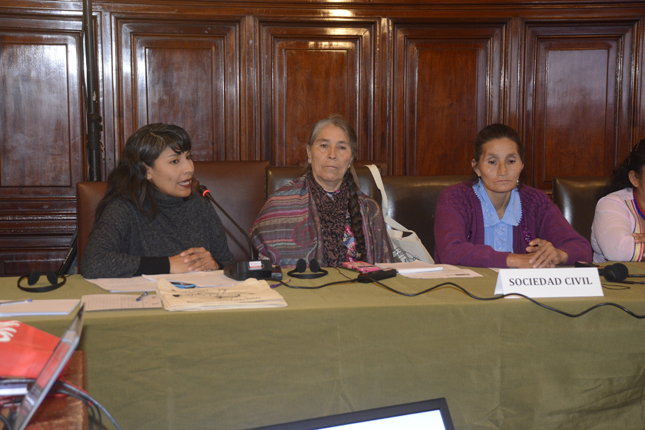 Like women, indigenous environmental defenders often face more risks due to their marginalization, proximity to remaining contested lands, and historical lack of political legitimacy and access to monetary resources. After the 2017 deaths of two land defenders in Colombia’s western Chocó region, a report issued by the Colombian ombudsman declared that illegal paramilitary and guerilla groups are taking advantage of the country’s recent peace treaty and demobilization to seize control of territory that is home to multiple indigenous groups, Mongabay reported. Like environmental activists, journalists are also killed by those wishing to silence them. The Committee to Protect Journalists (CPJ) has documented the increasingly ominous increase in the number of journalists killed on the job in recent years. Out of the 74 journalists killed in 2017, only three, Luis Manuel Medina, Leónidas Martínez, and María Efigenia Vásquez Astudillo, also appear on Global Witness’ list of murdered environmental defenders. Martinez and Medina both worked for radio station FM 103.5 in the Dominican Republic. Medina was shot in a recording booth while filming a broadcast on Facebook Live and Martinez was killed in the crossfire in an adjacent office. The Dominican government’s investigation reported that the killings of Medina and Martinez were connected to disgruntled landowner Jose Rodriguez and his conflict with the Dominican Republic’s State Sugar Council. But CPJ reports that the investigation found “no evidence that the reporters had any interest in the land deals associated with Rodríguez” and concluded that the murder was an “indecipherable enigma.” However, prior to the deadly shootout, Medina had repeatedly condemned pollution in Laguna Mallen, a protected lake in San Pedro. Efigenia Vásquez, a radio and video journalist from an indigenous community in Colombia, was killed last October while filming activists’ attempt to take over a farm and resort located inside the indigenous reserve, The Guardian reported. There may be other journalists who were killed while covering natural resources—such as land, forests, mining, water—or other issues with heavy environmental impacts, like agriculture and energy. But CPJ does not categorize any of the incidents in its database according to these terms, instead using more traditional “beats” like business, crime, and politics. But stories on these beats in developing countries—where the economy and the livelihoods of both rich and poor depend on natural resources—could very well be about these environmental challenges. For example, Colombian documentary filmmaker Bladimir Sánchez Espitia has been repeatedly threatened for his coverage of mining projects and hydroelectric dam development. Adding this information to CPJ’s database would help track journalists targeted for their coverage of these issues, and complement Global Witness’ database. Despite these alarming trends, the momentum to protect environmental human rights recently accelerated with three important new initiatives launched this month. Carole Excell and Alejandra Rodriguez of the World Resources Institute are optimistic about a new legally binding agreement from 24 Latin America and Caribbean countries and civil society groups, known as LAC P10. The agreement, which is the result of four years of negotiations, sets new standards for achieving the principle on environmental democracy of the Rio Declaration on Environment and Development, otherwise known as Principle 10. “This is an opportunity to give environmental rights the same legal standing as human rights at the global level,” said Leo Heileman, UN Environment’s regional director for Latin America and the Caribbean, in a story on UN Environment’s website. UN Environment also recently launched the UN Environmental Rights Initiative, which will work with governments, businesses, media, and networks to raise awareness of the need to protect environmental rights and to strengthen the capacity to do it. And just last week, UN Special Rapporteur on Human Rights and the Environment, John Knox, appealed for a UN resolution to formally recognize the right to a healthy environment. Though his framework principles are the work of more than five years of investigations, Knox’s call to action was also motivated by the increasing media and political attention to the atrocities faced by environmental human rights defenders on the front lines. “If we can’t protect them, then how can we protect the environment we all depend on?” Knox told The Guardian. Bethany N. Bella is a Bachelor of Specialized Studies senior studying environmental geography and women’s & gender studies at Ohio University. Find her on Twitter or visit her website.